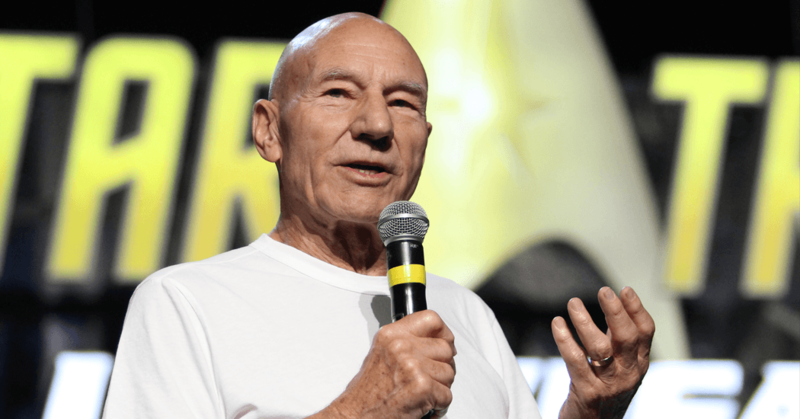 With the recent announcement of a new Jean-Luc Picard centric Star Trek series, fandom has been abuzz about the final chapter of Picard’s life, but what exactly will that be? In today’s episode of Truth OR Myth, we take a look at Picard’s life and speculate as to where his life may lead him in the new series. At very a young age Picard was a dreamer. Spending nights looking to the stars, Picard would eventually choose a career path in Starfleet. 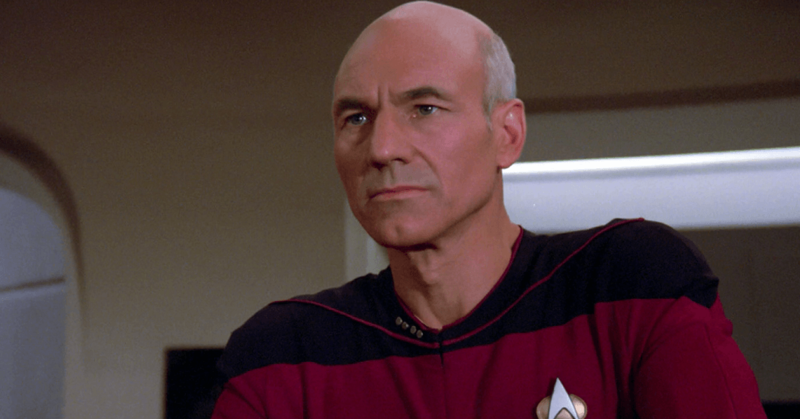 Having grown up with names like Kirk and Spock and their fantastic lives of space exploration, saving the galaxy at every turn, it’s no wonder that Picard chose a life in space. Picard’s father did not support these ambitions in his son. Having been content with his vineyard in La Barre, France, Picard’s father thought his son should be happy carrying on the family traditions even though the Picard family line had been filled with heroes throughout the ages. Picard though was a bit or free spirit and rebellious individual. 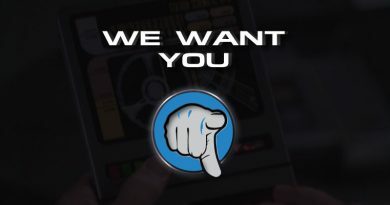 Qualities which would get him noticed by Starfleet Command but at the same time those qualities would be virtually gone by the time we started to get to know the good captain. Having risen quickly through the ranks to become the Captain of the Constellation Class Starship, USS Stargazer, Picard was forced to abandon that ship at the Battle of Maxia. During this Battle, which was the first official recording of an engagement between a Federation starship and a Ferengi one, Picard invented what would later be referred to as ‘The Picard Maneuver‘ and subsequently saved his crew. As was normal procedure after the loss of a Starship, an inquiry was conducted where Picard was cleared of any wrongdoing. During Season 1 of the Next generation, the ship, and specifically her captain, would prove their worth and continue to advance the interests of Starfleet and the Federation. Maybe due to the loss of his previous starship, or perhaps it was the pressure of commanding the most important ship in Starfleet, the Picard of season 1 was rigid and at times downright preachy when it came to rules and regulations. Having full control of every aspect of the ship, Picard demanded excellence from every member of his crew. 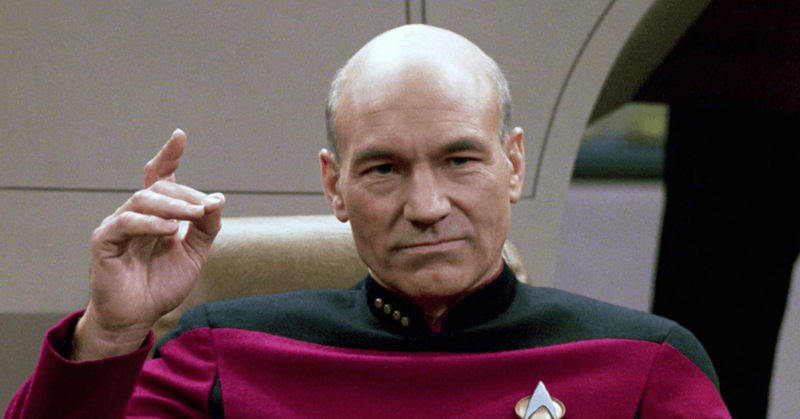 By Season 3 however, Picard had loosened up and became the ideal example of what a starship captain should be. Gaining the respect and admiration by not only the crew of his own ship but of all those residing in the Federation. And now comes the point where Picard’s life stops. With the imminent threat of a Borg attack on Earth, the Enterprise, who back in season 2 had been flung directly into an encounter with the Borg by Q, was sent to delay the approaching cube to give Starfleet time to prepare for the encounter. 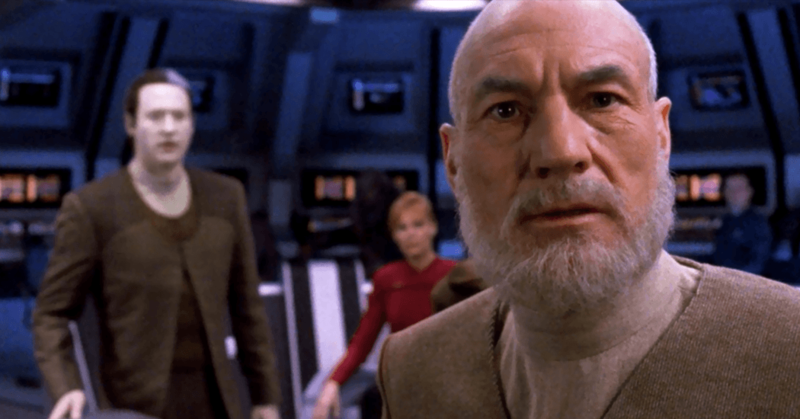 Starfleets decision would lead to a sequence of events that would tarnish Picard’s Career and affect him so emotionally that he would never fully recover from it… At least not up to the points we know about his life. Picard was assimilated by the Borg and forced to use his knowledge and experience to destroy 39 starships and kill 11000 Loyal Starfleet Officers. No forced is the wrong word. Even when someone puts a gun to a persons head they still have a choice, to either do the task or not. The or not might not be pleasant, but the choice does exist. With his assimilation though there was no choice. The Picard we knew was trapped inside his own mind watching the events and not being able to stop them. I can not even imagine the horror that this must have been for him. After being rescued by the crew of the Enterprise and ultimately helping to defeat the Borg Picard briefly considered leaving Starfleet. The Guilt, the embarrassment was too much for him. He knew that even though it was clear he had no choice in the matter, that many people in the Federation would not see that. That they would blame him for what the Borg had done and having to face those people during his careers lifetime was just too daunting of a task. He wasn’t smart enough or strong enough to defeat the Borg on his own, and like Sisko’s life stopping the moment his wife was killed by Picard, the assimilation would be the point that Picard was stuck in for the foreseeable future. Thankfully with the help of his brother and Picard being who Picard was, he soldiered on and attempted to put the pieces of his life back together and regain the respect he had felt he had lost. This would lead to further adventures for Picard which included romps with Q, gaining a level of respect for his past self and meeting Spock himself on Romulus. 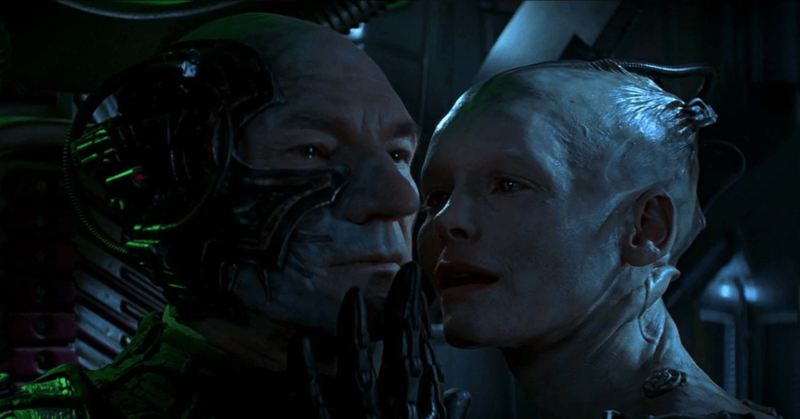 Close to the end of Season 5 would see Picard’s first encounter with the Borg since his assimilation. In the episode, “I, Borg,” Picard would briefly consider using a Borg a biological weapon against his people. After realizing that this Borg had regained a certain amount of individuality though Picard was incapable in good conscious of doing that. And the Borg named Hugh was then sent back to his people. During the season 6, 2 parter episodes “Chain of Command“, Picard is captured and tortured by the Cardassian Empire for information. This time though, Picard held strong having the choice to not to cooperate with the Cardassians and most likely hanging on to events of what happened to him during his assimilation to allow him to hold out, not wanting to appear weak again willing to die to prevent losing any more respect in the eyes of Starfleet. It should be noted that many people are discussing the events of the TNG Series Finale of “All Good Things,” as a basis for what the new series will be about. Unfortunately, this is a flawed premise. The future events depicted in that episode was only an illusion created by Q. Thus they are NOT canon timeline events. Whether Picard got married to Beverly Crusher and the whole crew separated and went there own ways will hopefully be answered by this new series. however one need only look at the fact that Admiral Riker’s ship is the Enterprise D, a ship that we know in canon would be destroyed a short time later while protecting the Veridan Star System. After the Events of “Star Trek: Generations“, Picard was granted the Command of the newest flagship of the Federation once again, The U.S.S. Enterprise – E. the most powerful starship of it’s time it was designed to fight and beat the Borg. So it would be natural for this flagship to lead the charge against the Borg when they decided to attack Earth once again. Unfortunately, though that wasn’t to be. Picard was again confronted with the fact that Starfleet had lost faith in him when it came to the Borg as the Enterprise was relegated to patrol duty along the Neutral Zone after telling Picard point blank that it wasn’t a good idea for him to confront them again. Picard, however, would eventually defy his orders and head to “The Battle of Sector 001” anyhow, ultimately winning the battle against the Borg and saving Earth once again. One thing painfully clear from the movie “Star Trek: First Contact” was exactly how deep his assimilation had affected him, Vengeful and Angry while fighting them, The Picard we see in most of this movie has no resemblance to the Picard we had gotten to know and love. And although some realization and self-forgiveness had happened during this movie, anyone that can read an article on the Internet knows that those types of feeling don’t go away with one line uttered from a book. So if you’re still listening you probably have noticed that my focus in this piece has been the Picard/ Borg dynamic. And I’m sure you guessed that it’s my theory that the final chapter of Picard’s life would have something to do with the Borg. 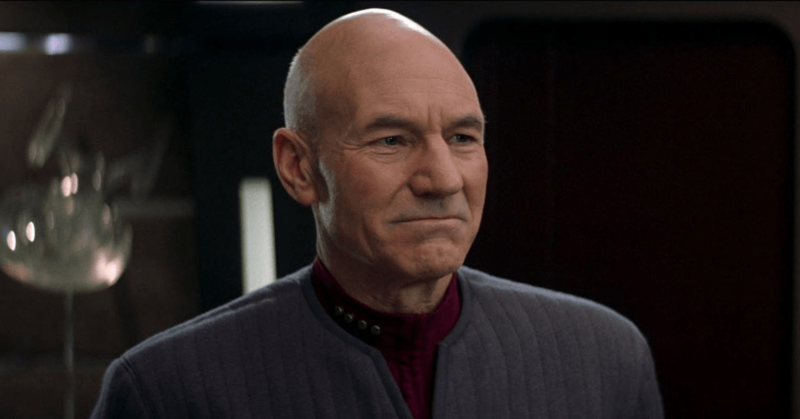 Bringing this whole chapter of Picard’s life to end by having him ultimately defeating the Borg and gaining back what was taken from him would be the best way to proceed in this new series and bring Picard’s story arc to its inevitable conclusion. And another thing that might support this idea are the names that CBS trademarked recently. the first which the fandom jumped on as the New Picard Series was Star Trek: reliant. When I read that I didn’t buy it for a second. The Reliant was such a huge part of “Star Trek II: The Wrath of Khan” that I didn’t believe for a moment that a Picard Series would be titled that. 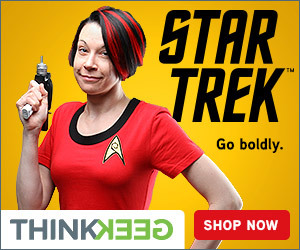 But a few days later another name was trademarked, Star Trek: Destiny. 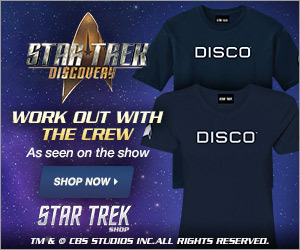 that in itself seems a more apt name for a Picard Series. Whether his destiny is to defeat the Borg once for all, however, is anyone’s guess. But Star Trek: Destiny was also the title of a Novel trilogy which dealt with the final defeat of the Borg. A great read and I highly recommend it! It wouldn’t be the first time that a novel was bought and made into a movie or a series. But rest assured if that is the case, the story that will appear on our little screens will most likely on bare a slight resemblance to the novel, probably using only the bare bones of it. I highly doubt that every main character seen in TNG, DS9 and Voyager would be seen on screen, though I don’t doubt that there will be some characters that will make cameos, it just stands to reason.